Every since Donald Trump became the President, a significant portion of America (and the world as well) has been wishing for him to get impeached. And after the allegations of sexual misconduct, collusion with Russia and incessant lying, one might think that that would become a reality, but alas. That’s why people berate him on social media whenever they get the chance, or just troll the heck out of him. However, a bunch of social activists might’ve taken things a little too far. 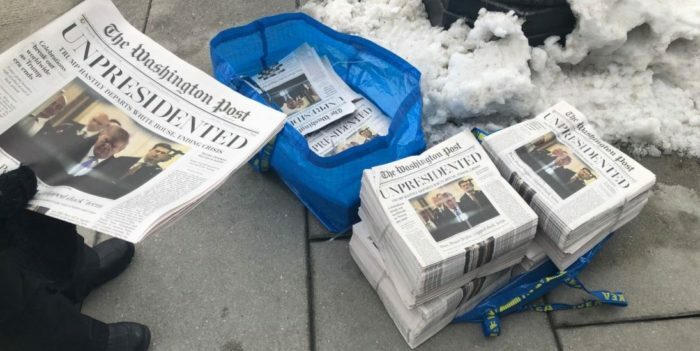 The papers bore the date of May 1, 2019 and looked exactly like actual copies of The Post. And they were filled with anti-Trump stories, which were also on the website mimicking the official Post. However, the Post’s P.R. team has confirmed that they’re indeed fake. This was the job of a group that describes itself as a “trickster activist collective” named the Yes Men. 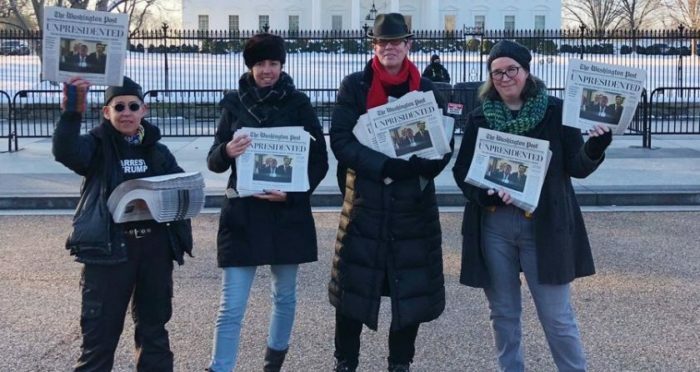 They accepted that they had produced the bogus newspapers and website, claiming that Donald Trump had submitted his resignation. The fake edition’s lead story was hilarious. 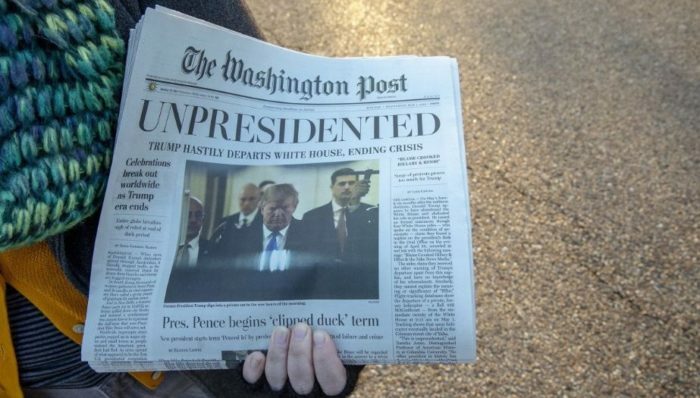 Along with the headline “Unpresidented”, it reported that Trump had resigned by writing on a napkin that he has left Washington for Yalta (the Crimean resort where Allied leaders during WW II met). In addition to that, the false story said that Trump had left because of massive women-led protests around the country. However, like many have pointed out, this whole movement might fuel Trump’s narrative that every newspaper is spreading fake news. And it might cause people to distrust everything that they’re reading. So, while the wishful thinking is laudable, the execution certainly isn’t.